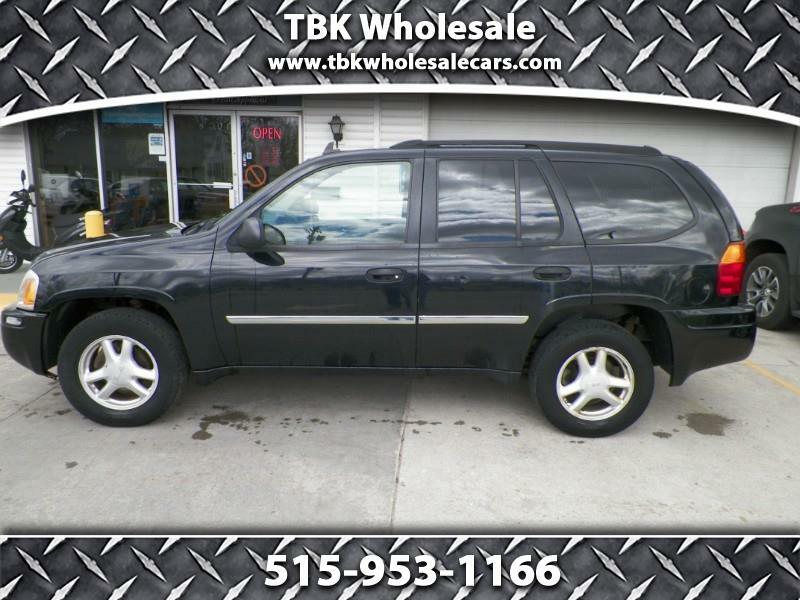 Visit TBK Wholesale online at WWW.TBKWHOLESALECARS.COM WWW.TBKWHOLESALECARS.COM WWW.TBKWHOLESALECARS.COM to see more pictures of this vehicle or call us at 515-953-1166 today to schedule your test drive Home of Guaranteed Credit Approval Need a new car? Tired of all the hassle involved with purchasing a used car? Our financing here at TBK Wholesale is sure to be the easiest in town. No Credit? Bad Credit? NO PROBLEM! Nothing can stop us from getting you the car you deserve. Simply fill in some information about yourself in our short 2 minute credit application then let us do the rest. Once we have received your application you will receive a phone call from our representative putting you one step closer to driving away in your new vehicle. We accept most forms of payment including DMACC cards and h&r block cards ITS THAT SIMPLE! Message: Thought you might be interested in this 2007 GMC Envoy.